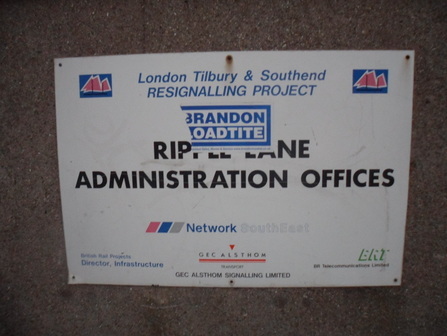 NSE board near the Freightliner terminal at Dagenham, used during the resignalling works in the early 1990's. NSE board near the Freightliner terminal at Dagenham. Information & Photo supplied by Brilant Krasniqi. The Kent Station has Network SouthEast signage at the lift entrancesat platform and footbridge levels. 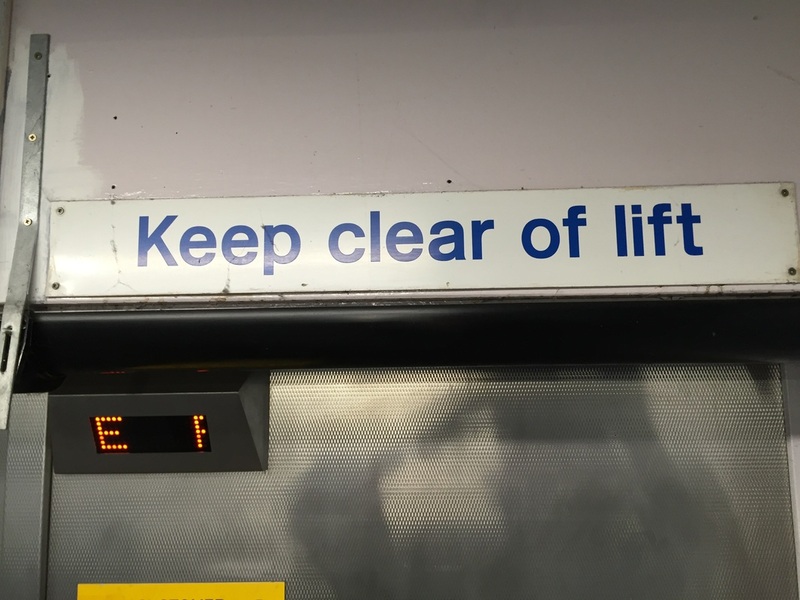 NSE signage ' Keep clear of lift' at Dartford Station. - with is NSE flash now obscured. Taken 29th September 2015. 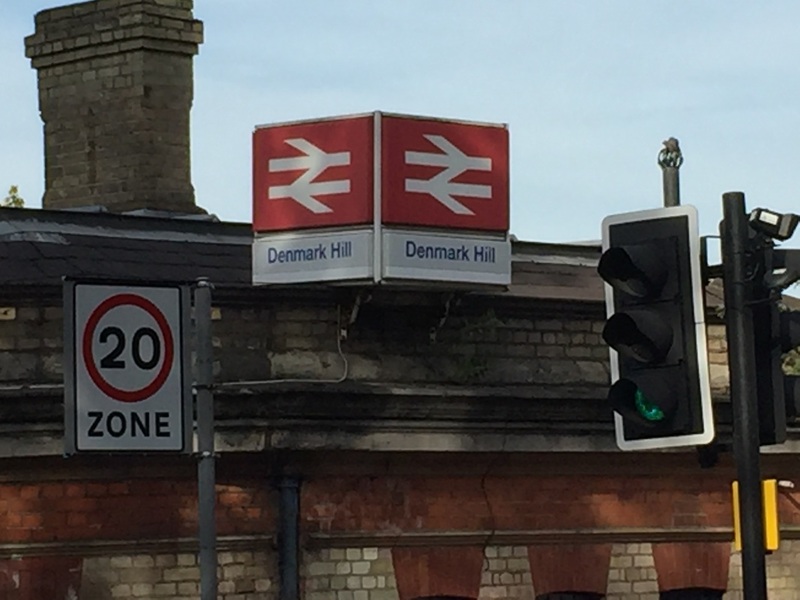 Network SouthEast installed sign on the roof at Denmark Hill Station. of platform 3. Taken 22nd November 2012. NSE Signage at Didcot Station. Information & Photo supplied by Andrew Elphick. 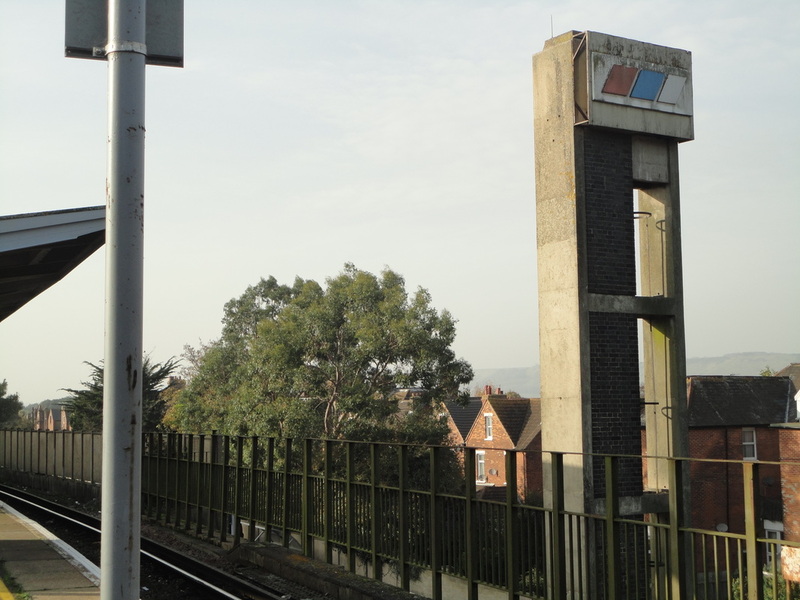 two Stations that serve this Marker Town, Taken 22nd February 2014. 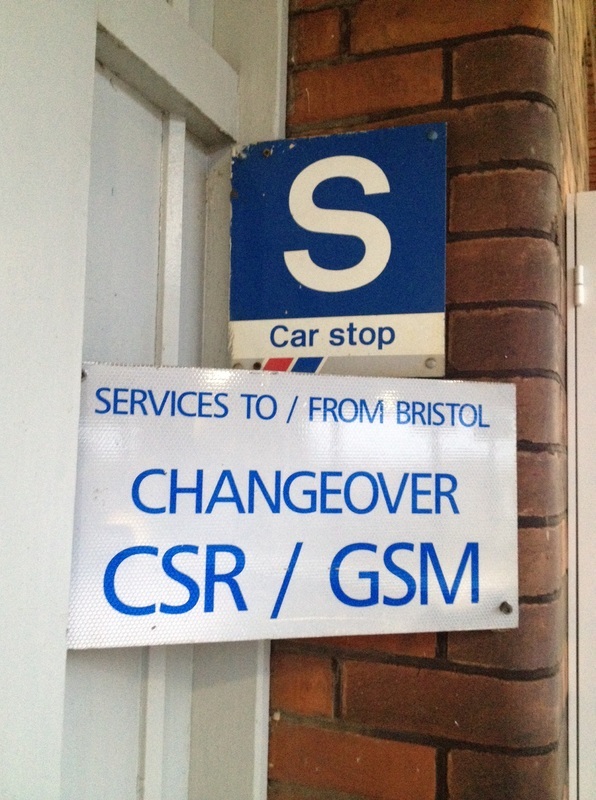 Dorcester Station Car park sign. An array of survivors from Network SouthEast are still present at this station. 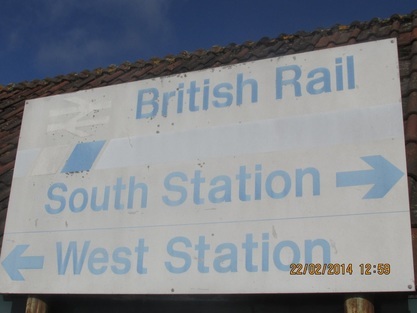 The sign outside the station is still in place - although the flash has been covered up. 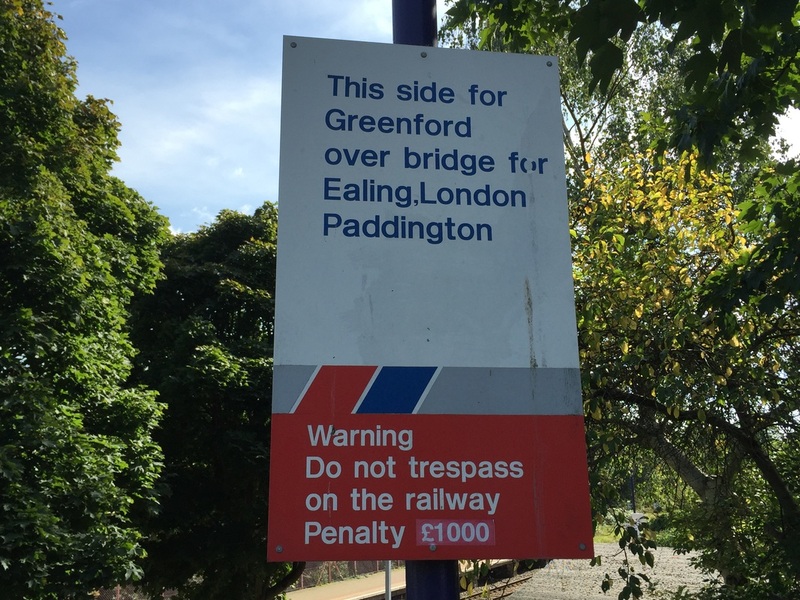 Two platform direction signs are also still present, and the platform wire mesh fencing is still is painted NSE red - although it is now very much faded !! Taken on 29th September 2015. 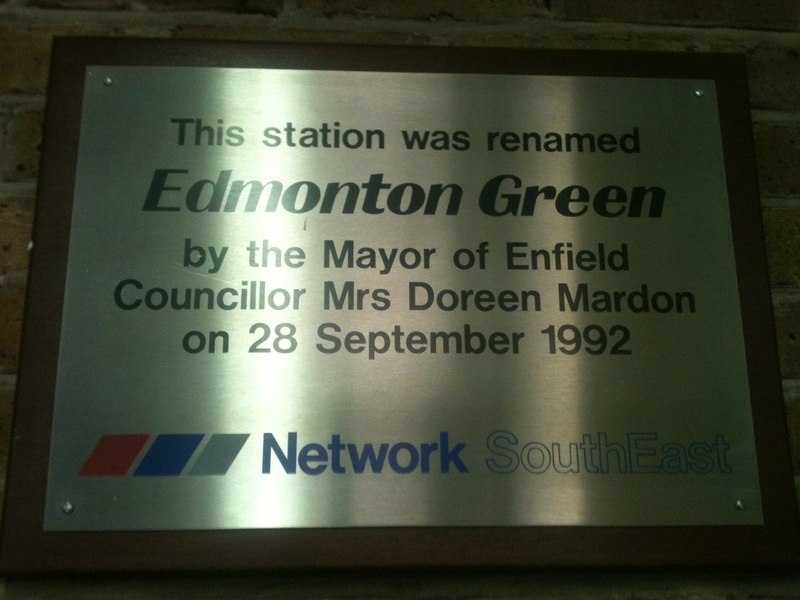 Network SouthEast sign outside Drayton Green station. 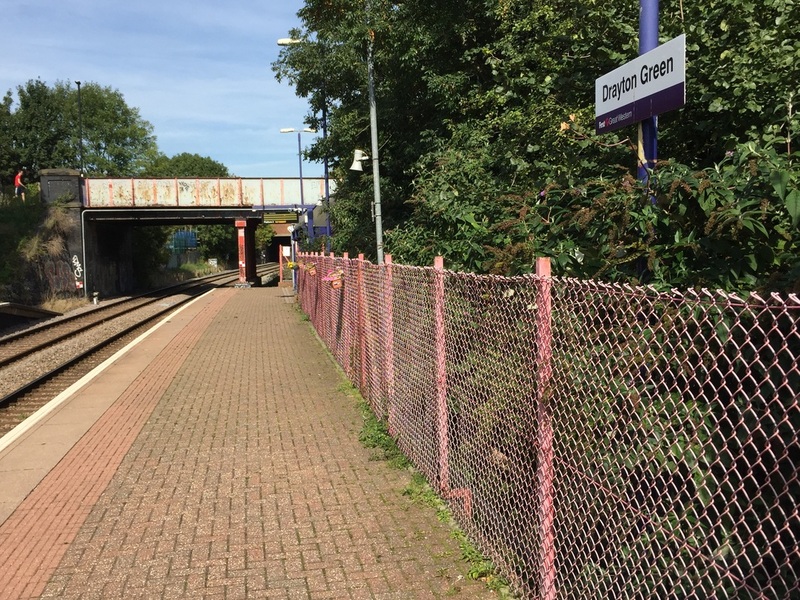 The fencing still holding it's NSE 'Red' at Drayton Green station. 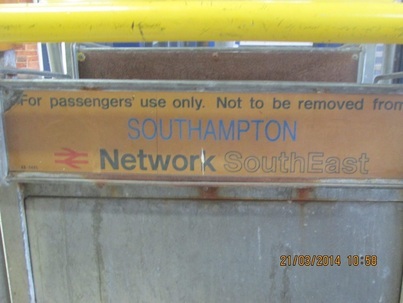 Network SouthEast branded platform direction sign at Drayton Green Station. 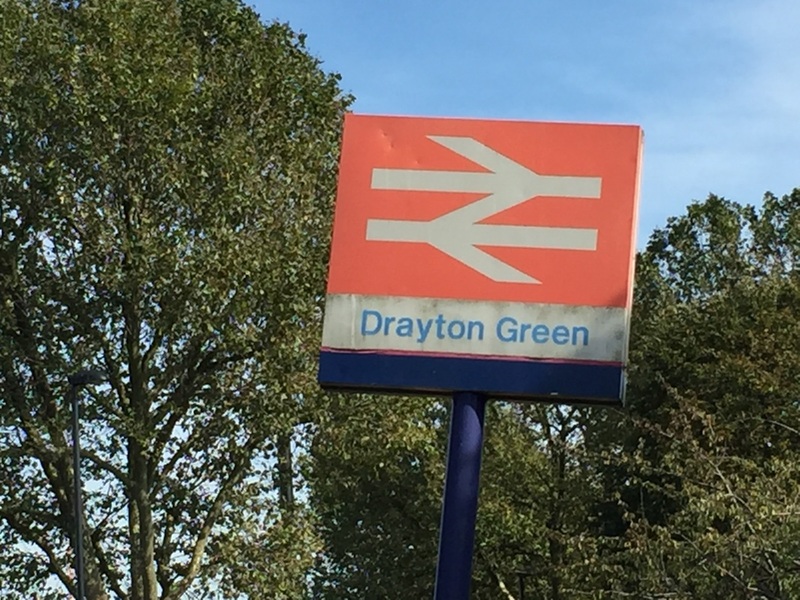 NSE branded direction sign at Drayton Green Station - with NSE flash obsured. 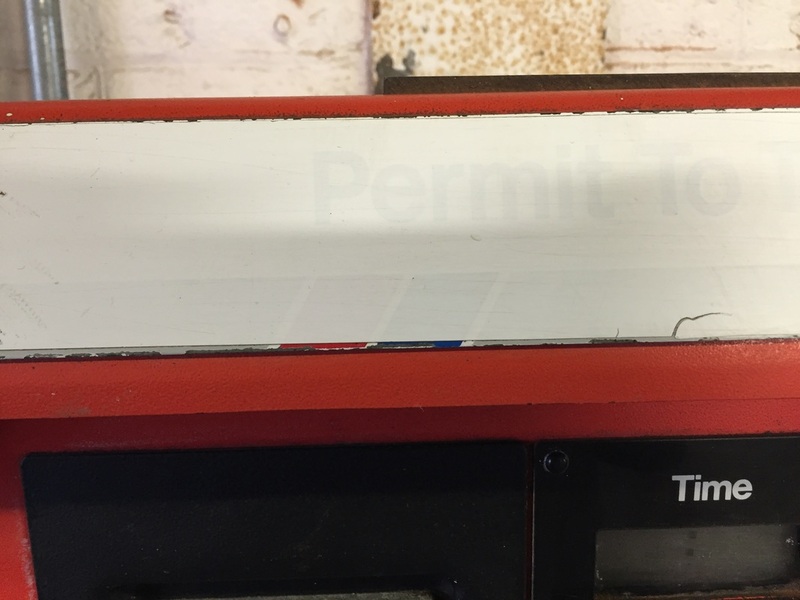 This Great Northern Station still has a 'Please show tickets' sign and a platform mirror in Network SouthEast 'Red'. Taken on 16th November 2015. 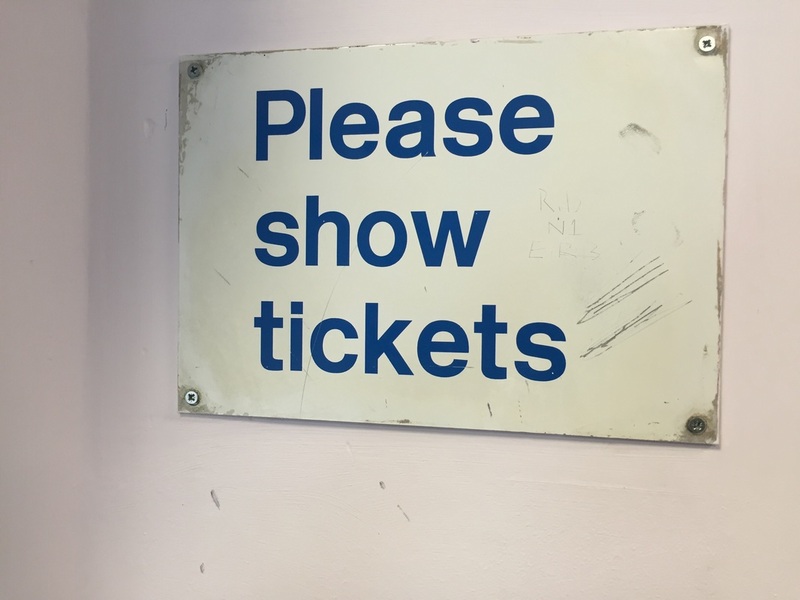 'Please show tickets' sign at Drayton Park Station. 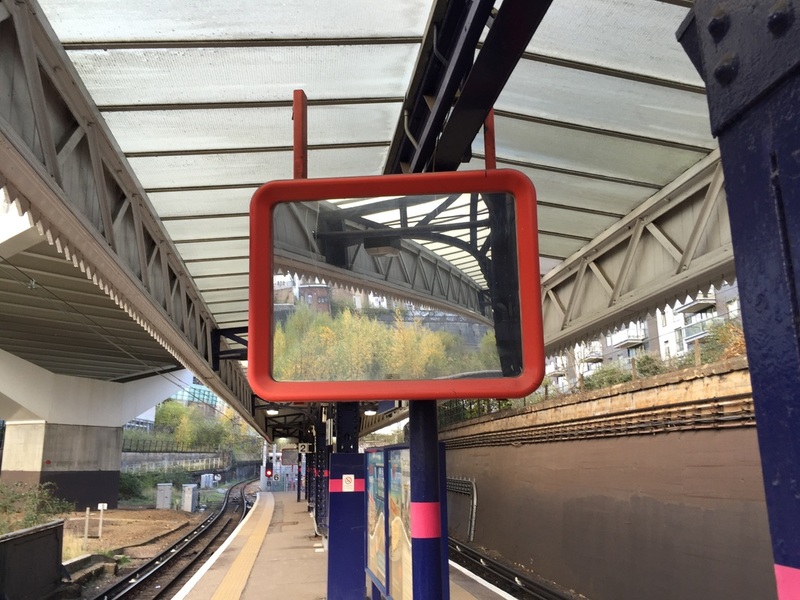 Network SouthEast 'RED' platform mirror at Drayton Park Station. 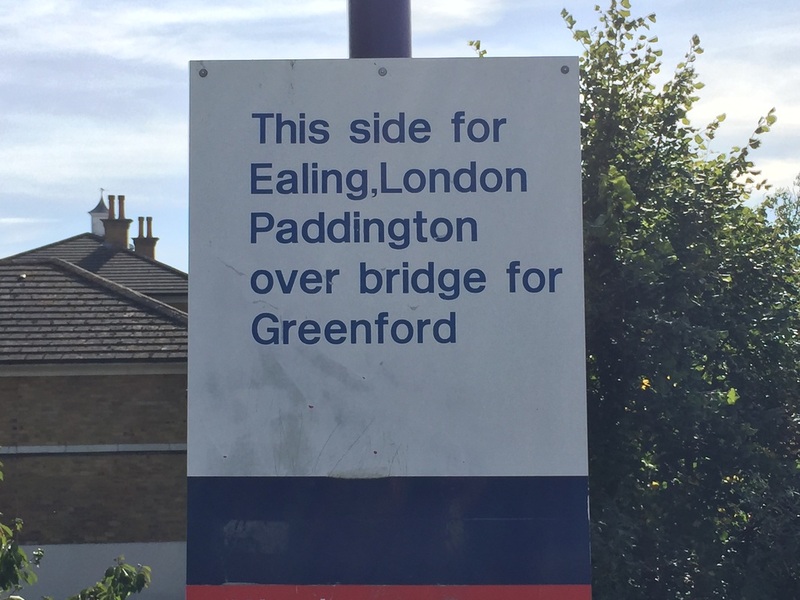 This West London Station still has Network SouthEast signage directing passengers to the platforms. Taken on 14th November 2015. 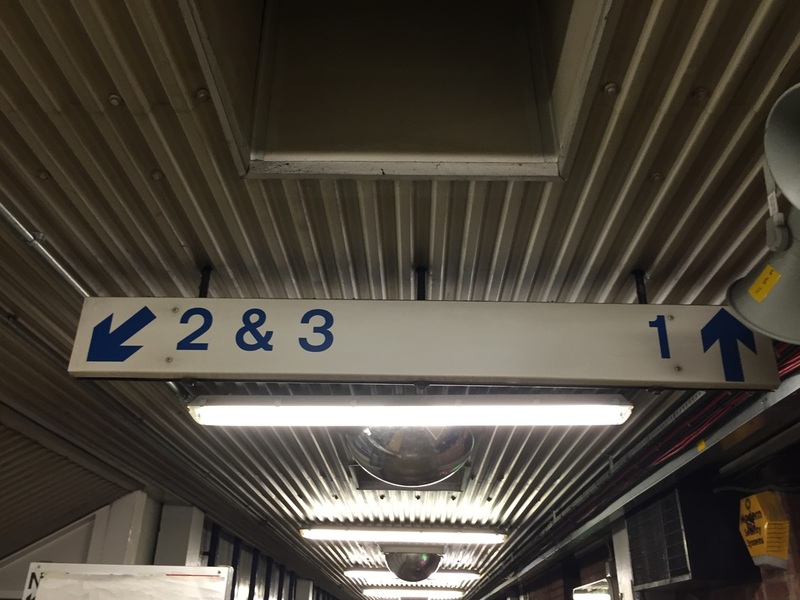 Network SouthEast 'Platforms 2, 3 & 1' sign at Ealing Broadway Station. 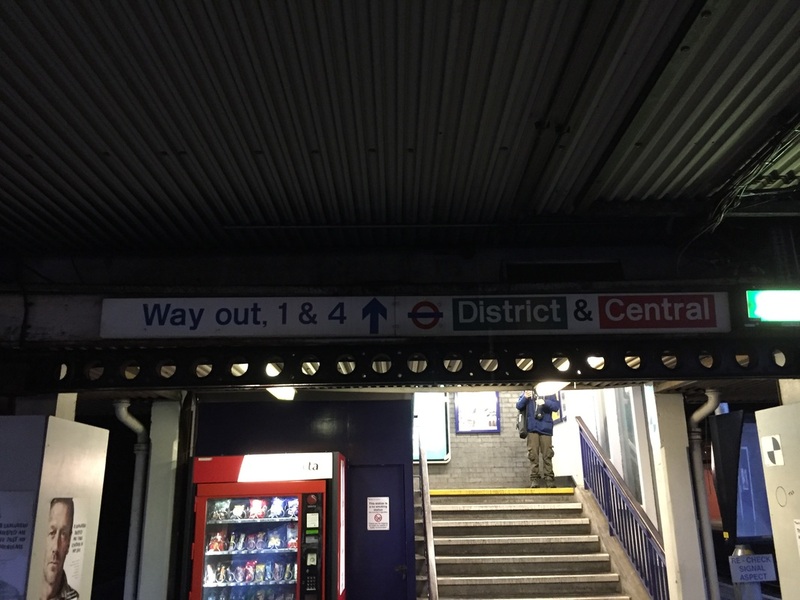 Network SouthEast 'Way Out & Platforms 1 & 4' sign at Ealing Broadway Station. ﻿This sign regarding 'Cycle Storage' is still in place. Taken outside the Stationon the up side adjacent to the cycle racks. 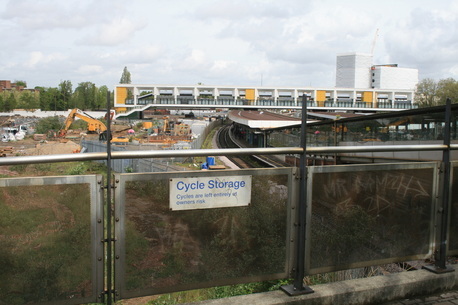 'Cycle Storage' sign at East Croydon Station. 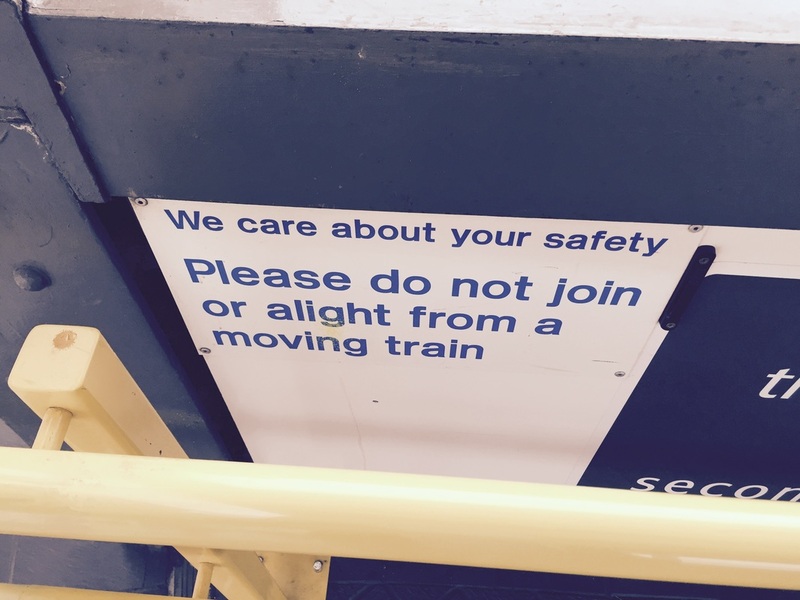 NSE sign 'Do not alight from a moving train' at East Coydon Station. Information & Photo by John Chisholm. by Eastleigh Station. Taken on 18th February 2014. 'Southampton' NSE trolley, now at Eastleigh. as 'Lower Edmonton Stn'. Taken on 14th May 2012. 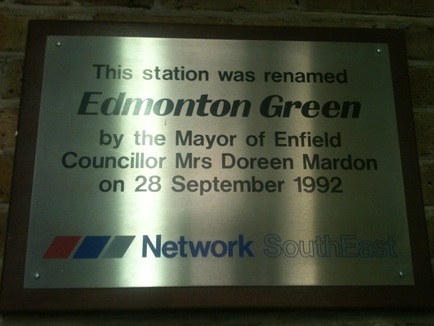 Edmonton Green Station renaming plaque. 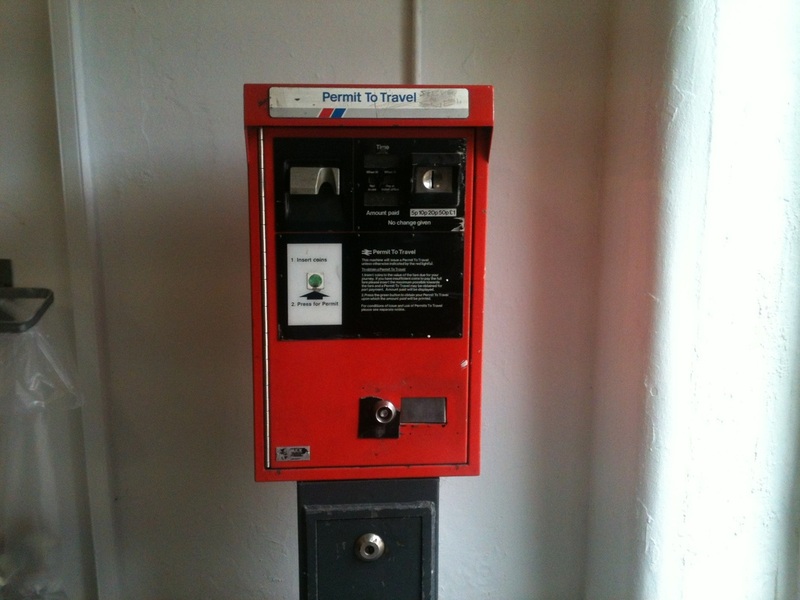 This old pertis machine is still in full working order. Taken on 8th July 2012. 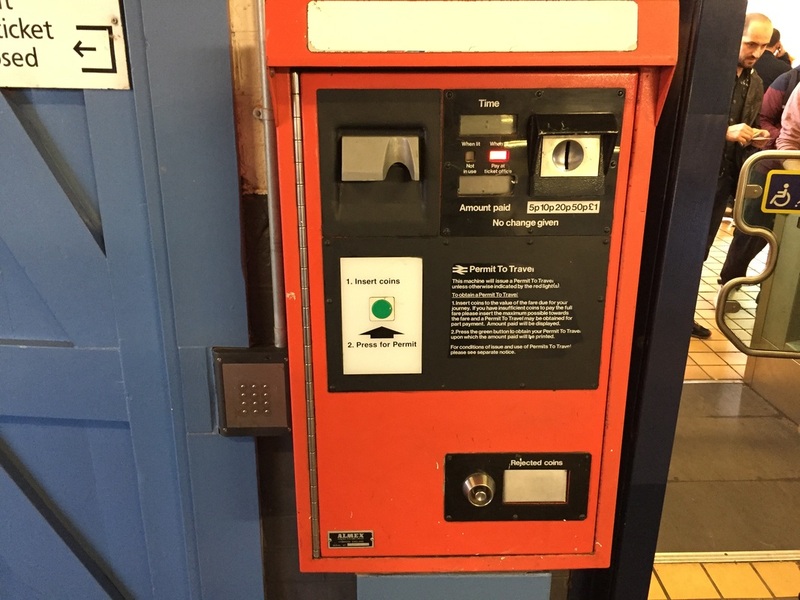 NSE pertis machine at Edmonton Green Station. 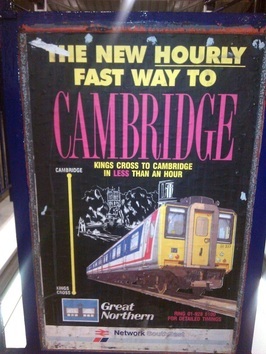 On the 25th February 2012 Elephant and Castle station has had a sign removed outside the waiting room on Platform 2/3, exposing the Cambridge poster. This poster was first published in 1990 to celebrate the electrification launch to Cambridge. It is amazing that it should have lain undiscovered until now. Attempts are being made to recover it also we hope to have some pictures of it soon. Information & Photo supplied by Michael Donnelly. this Kent Link Station.Taken on 24th April 2010. 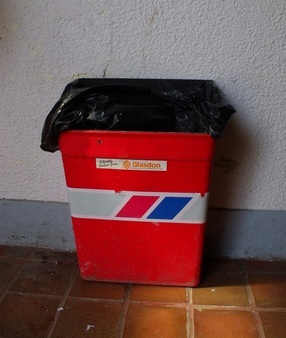 NSE Litter Bin at Elmstead Woods Station. Information & Photo supplied by Henry Kennedy. The platform at this station seems very much unchanged since its Network SouthEast. This Essex Road Station - Northbound Route Map is still in place. Taken on 14th December 2012. Essex Road Station - Northbound Route map. Information & Photo supplied by James Sutcliffe. 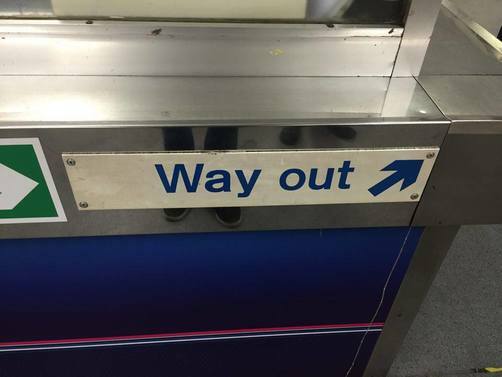 This Great Northern Line Station also has a Network SouthEast 'Way Out' sign to direct passangers. Taken on 16th November 2015. Network SouthEast 'Way Out' sign at Essex Road Station. 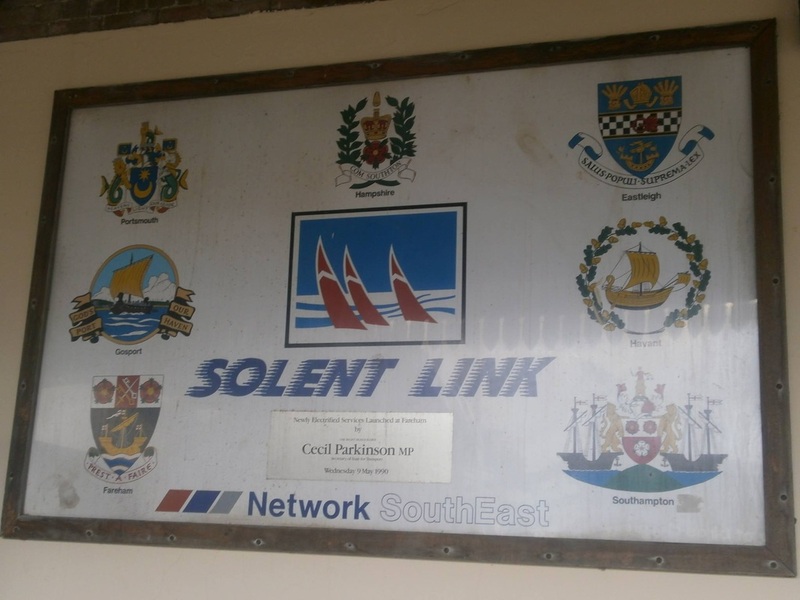 The Solent Link' brand was used to publicise the electrification of the lines between Portsmouth and Eastleigh/Southampton via Fareham. 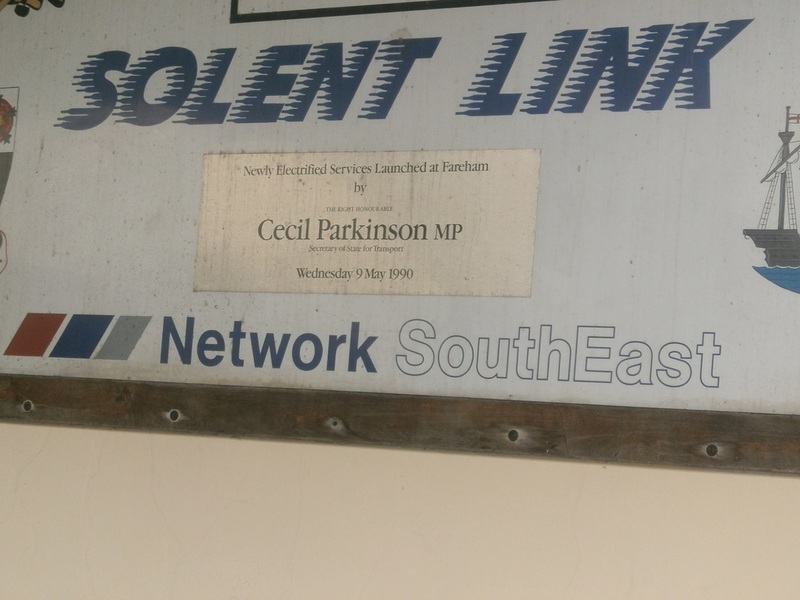 This plaque was unveiled at this station by Cecil Parkinson MP. Taken on 30th May 2013. 'Solent Link' electrification plaque at Fareham Station. Information & Photos supplied by George Webbster. 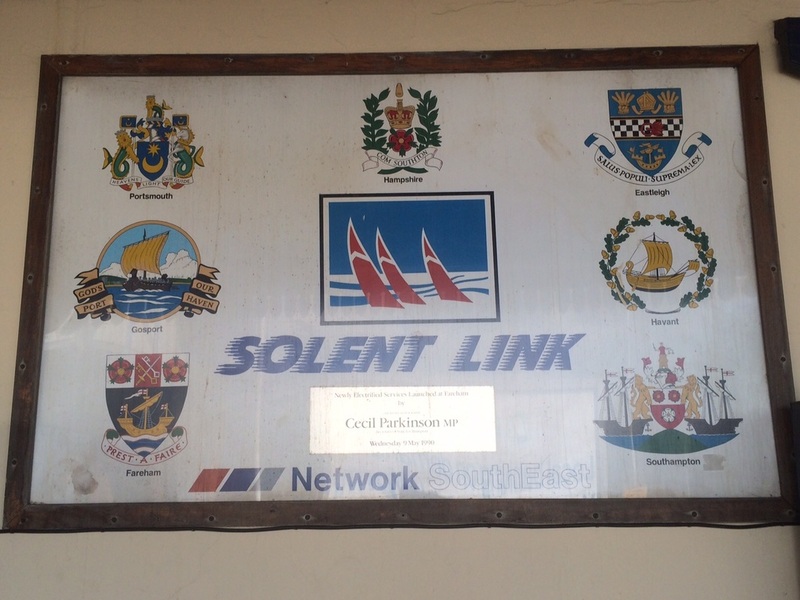 Still on display in the booking hall at Fareham is this 'Solent Link' launch plaque. Taken on 28th April 2015. Electrication Plaque for 'Solent Link' at Fareham Station. Information & Photos supplied by Andrew Moore. 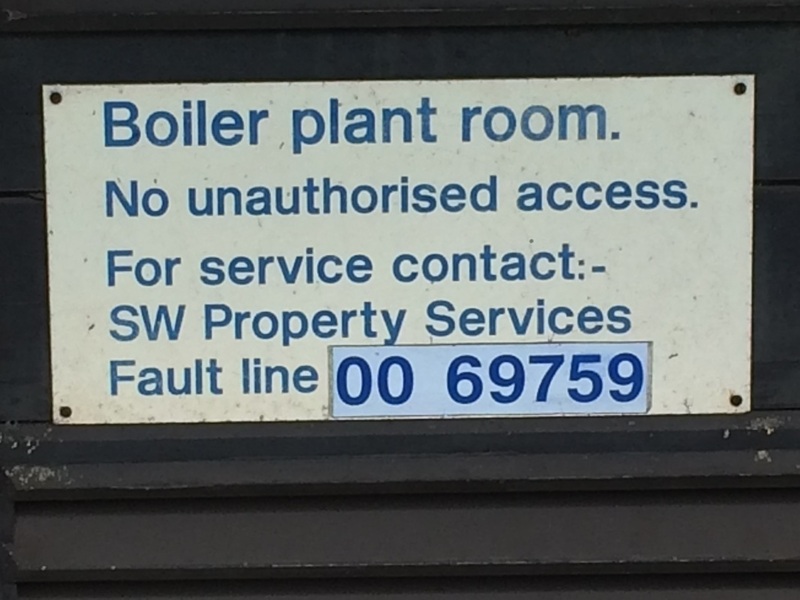 This Sign on the Boiler Room door is still in place near to Feltham Station, located on the former admin building next to Signal Box. Taken on 2nd April 2015. 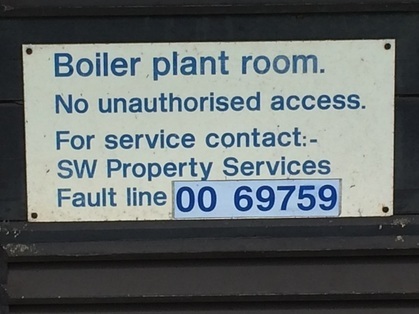 Network SouthEast 'Boiler Room' Sign at Feltham. Information & Photo supplied by Stuart Hendry. 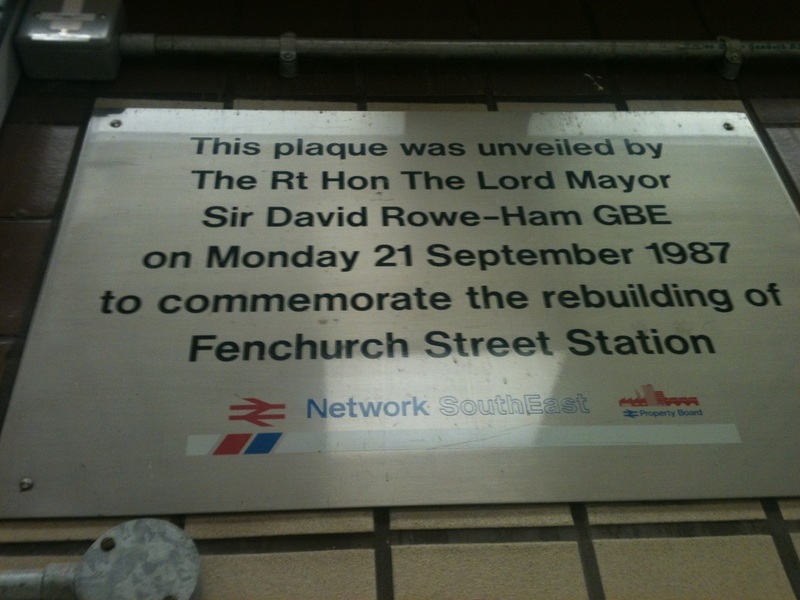 This plaque is displayed above the 'Customer Service' desk marking the rebuilding of this London terminus in 1987. Taken on 24th November 2012. Fenchurch Street Station rebuilding plaque. This platform information / staff shelter booth is still sporting its NSE original RED colour blaze at this c2c station. Taken on 6th December 2014. Network SouthEast Information / staff shelter at Fenchurch Street station. The Tower that stands over this Station entrance still has the NSE logo on it. Taken on 24th October 2012. 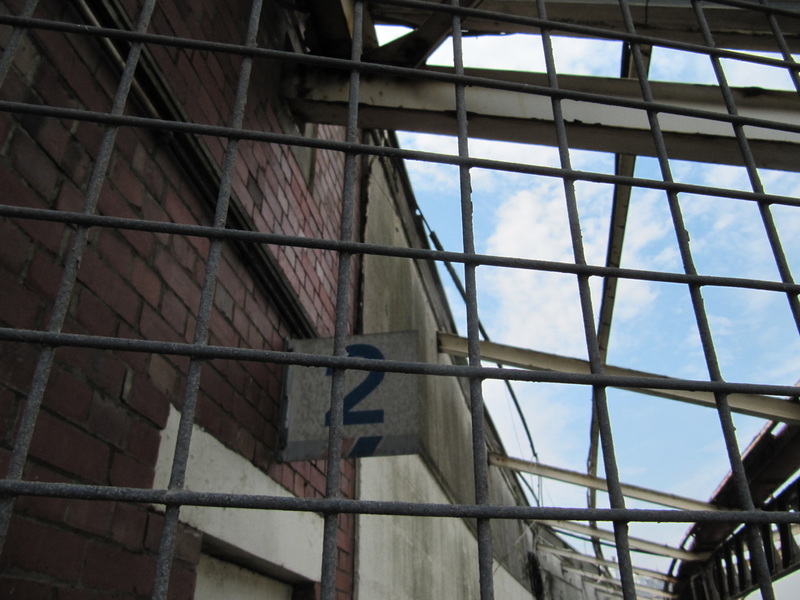 A platform number sign is still in place at this station which closed to regular passenger services in 2001. All other NSE signage has now been removed. Taken on 28th August 2013. Folkestone Central Station 'NSE' logo on tower. Information & Photos supplied by Mark Allen. 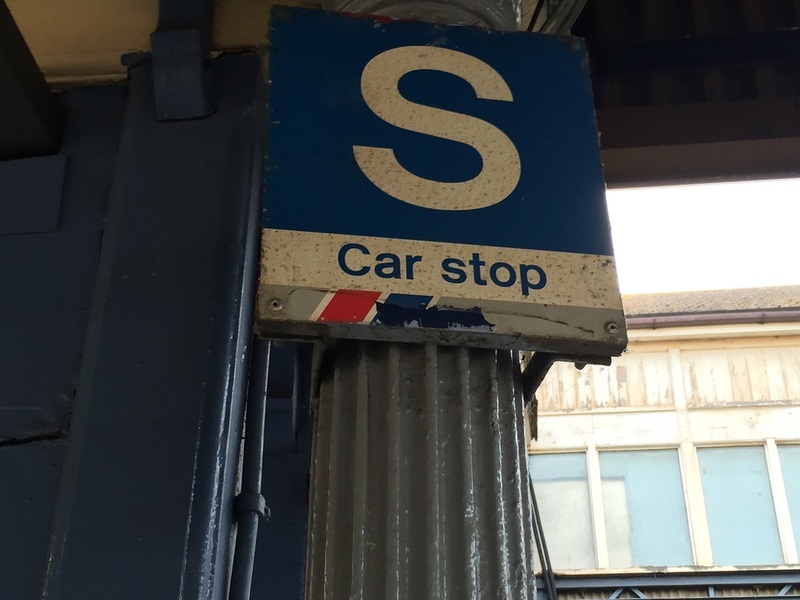 also a 'S car Stop' sign is still in place. A 'PERTIS Machine' can also be found here as well. Taken on 31st October 2015. 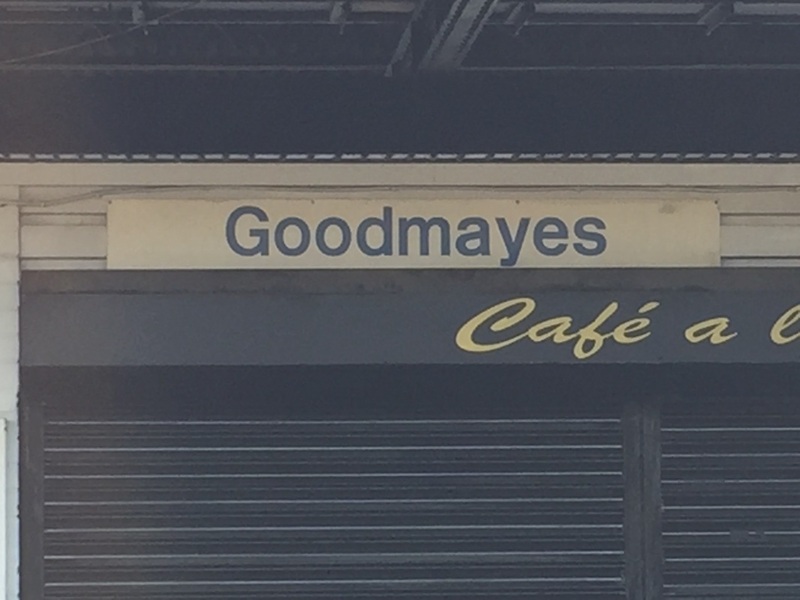 Network SouthEast 'Goodmayes' sign on platform level. NSE 'S Car stop' sign at Goodmayes Station. 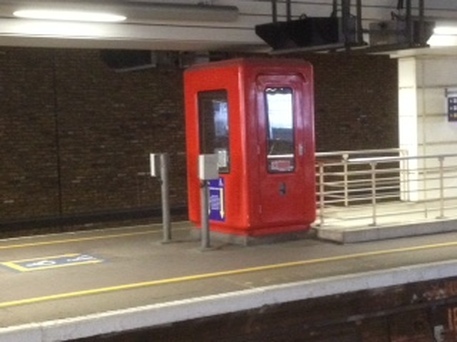 Network SouthEast 'PERTIS Machine' at Goodmayes Station.